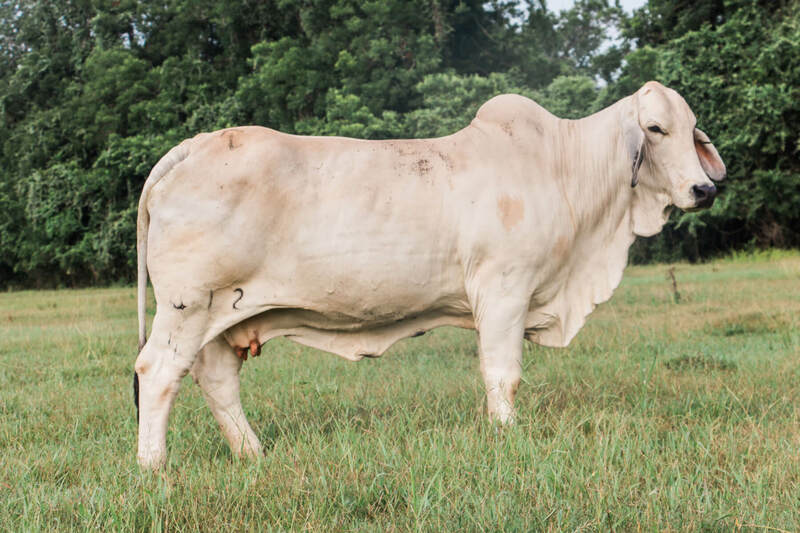 Our passion for Brahman cattle dates back to 1906 when Thomas M. O'Connor helped underwrite a direct importation of Indian cattle to the United States. 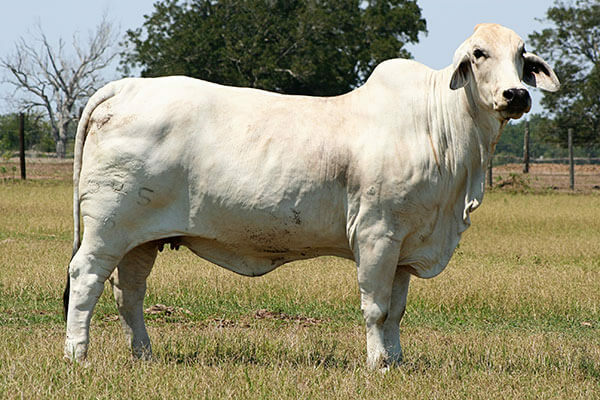 These Indian cattle landed in Texas and eventually led to the development of the American Brahman in the United States. 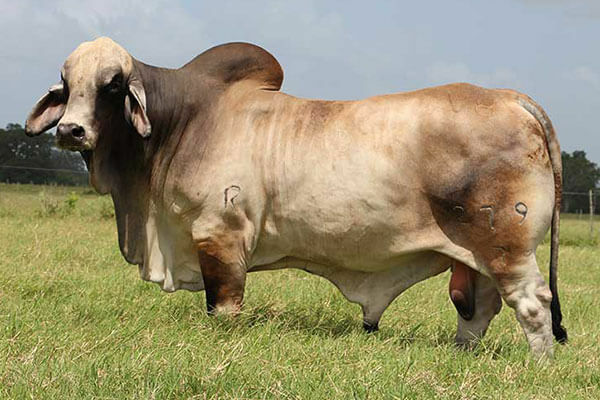 Brahman cattle thrive in our part of the country due to their heat tolerance and insect resistance. 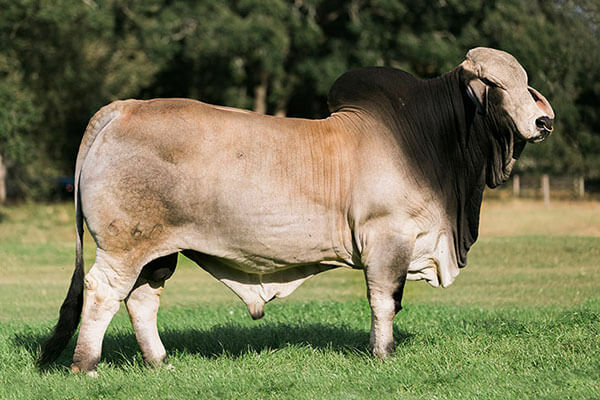 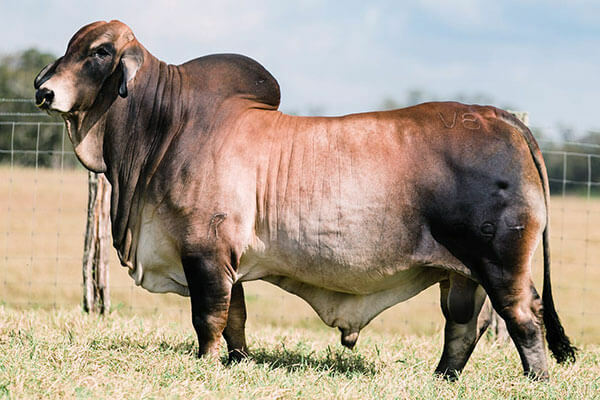 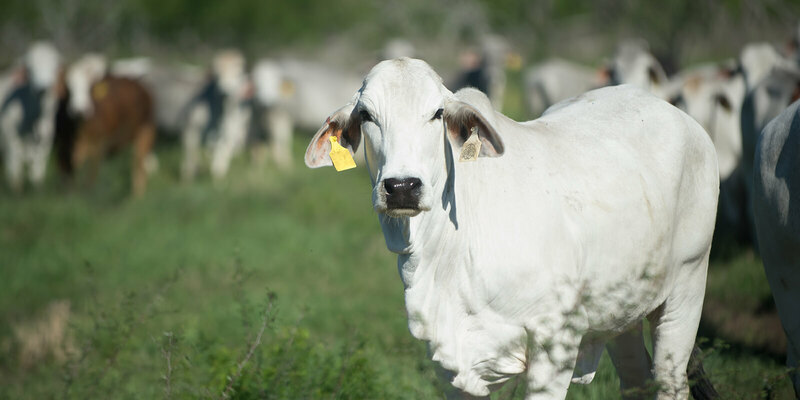 Our herd consists of high-end registered Brahman cattle, as well as a large herd of commercial Brahmans used for beef and F-1 production. 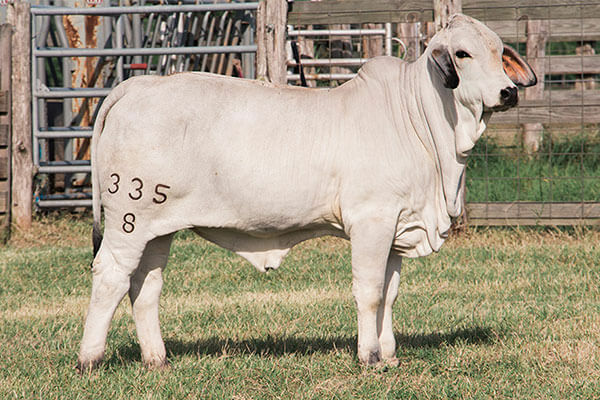 The Brahman x Hereford cross is known as the best cross in Texas. 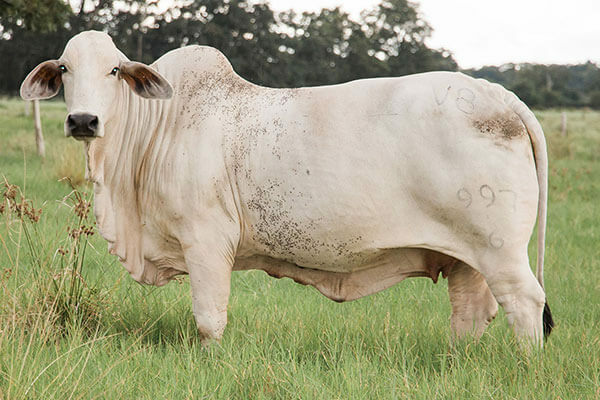 Below you'll find a preview of the elite genetics that make up our herd. 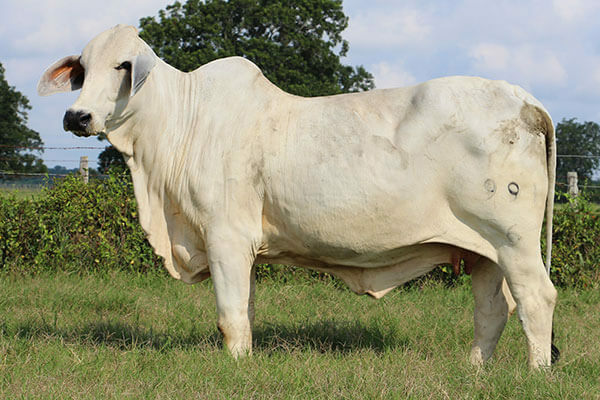 Natural service sire at JB Show Cattle! 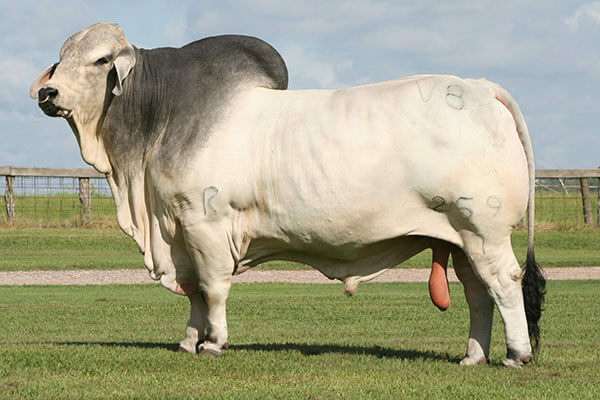 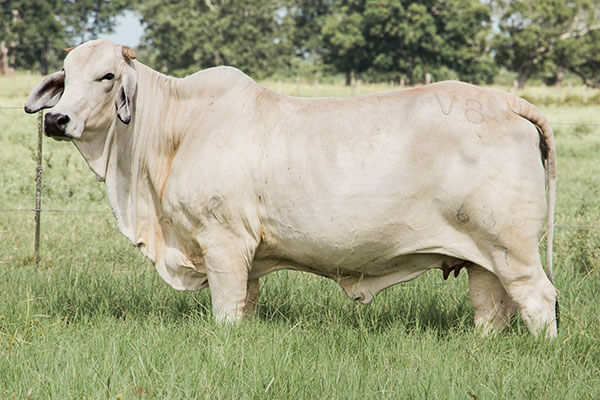 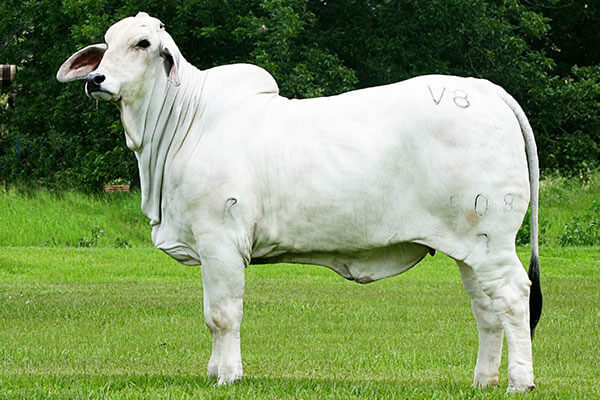 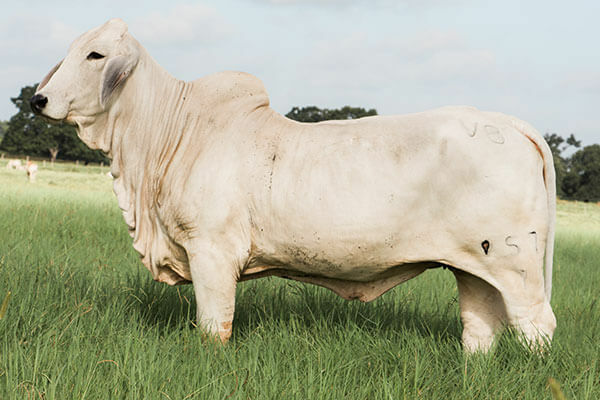 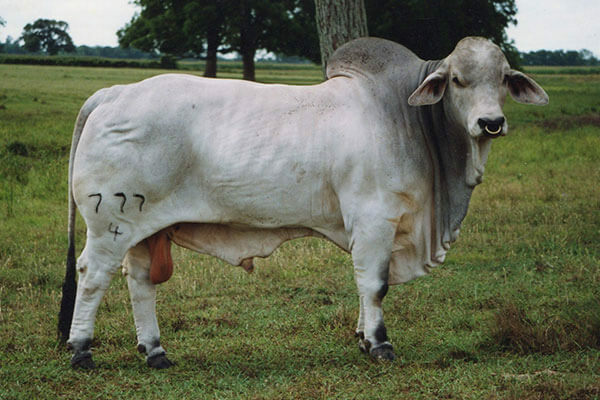 The most powerful polled Brahman bull raised by V8 Ranch and an AI sire for JB Show Cattle. 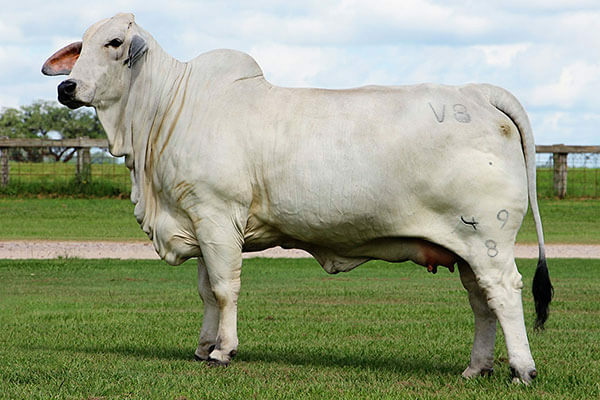 Watch for our exciting FULL SIBS to Mr. V8 777/4 "Powerstroke" coming in 2019!